The following article was written by Chief Arvol Looking Horse is the author of White Buffalo Teachings. 1. A child being born, which is the ceremony of recognizing the mind, body and spirit, the "Wakan Ye-s'a", sacred child. 2. At the age of twelve, we start the coming of age ceremony, so the young man and young woman understand the importance of life as mind, body and spirit. 3. We begin to earn a name and some would make a vow to Sundance, which is to sacrifice yourself to the tree of life. A cottonwood tree is chosen to give it's life for the people, the cottonwood tree holds a lot of water, the blood of Mother Earth, similar to how we are. The Tree Nation has its sacred path; extending from the ground of Mother Earth and reaching to the Universe, a teaching for us all. 4. Becoming an elderly person, by this time each person should have gone through the seven sacred rights and they are ready to go into the spirit world. After a person passes on, the Spiritual Leader talks to their mind, body and spirit. The spirit rests in the hair. After one year the people do the "Wiping of the Tears ceremony". The family, during this mourning period, cannot go to big pow wows or gatherings, singers can't sing, and dancers can't dance, the family should spend time together to support one another. If a person had unfinished work to do for the people, then someone would step forward and do the "Wiping of Tears ceremony" so they could finish their commitment, but this commitment had to be really important. Long ago people used to cut their hair. After the year of spending time with the relative's spirit, the Tiospaye (family) would then release that energy to the spirit world where other passed relatives are waiting. We have a give-away for the people to remember this momentous time. The relatives are forbidden to shed anymore tears, they allow that spirit to go on into the spirit world, if they continue to cry, it will bring "Wakuza" (to bring bad energy) to the family. 5- In the last hundred years the two-legged is the only species that is destroying our Mother Earth and all its inhabitants along with it. The knowledge that has been passed down is the key to change this path of dysfunction we are now on, to keep the "ho-c'o-ka" (our spiritual center) strong. 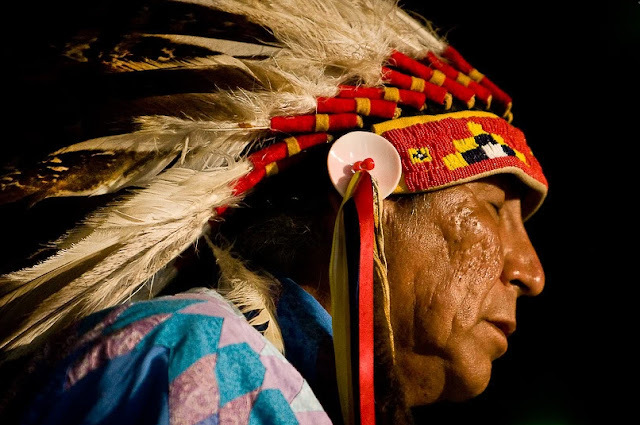 I would like to see our sacred way of life return, along with all the other Indigenous People's bundles and ceremonies, so the future of our generations to come have a chance to witness the beauty of what our Mother Earth has to offer. May we live in Peace and Harmony! 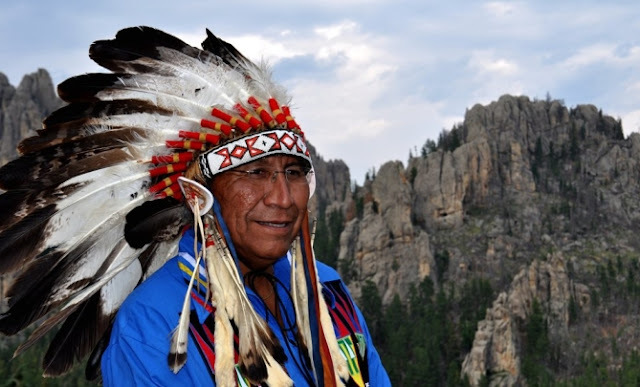 Responses to "5 Life Lessons From Chief Arvol Looking Horse, Keeper Of The White Buffalo Calf Pipe"